If you work with WordPress for any length of time, you’ll definitely find yourself having to move content around at some stage. This is especially true with larger websites or when you’re migrating content from site to site. Broken links are a risk in this scenario, which are of course bad for user experience and SEO. Redirects are the way to steer clear of trouble. A redirect will safely guide a user to the proper location of your WordPress content. It’s your failsafe solution for dealing with out of date references to your content from across the web. But what’s the best tool for implementing redirects on WordPress? This article sets out to answer that question. We’ve tracked down the seven best redirect plugins for WordPress and broken out their specific features to help you choose. But before we get on to our list, let’s quickly go over the basics of redirects. You’ve probably come across mentions of 301, 302 or 307 redirects in the past and may well be unsure about exactly what should be used where. The most basic redirect (and the one you’ll use the most) is the 301 redirect. This is where your server tells the browser that the document has permanently moved and that the old address should be deleted and the new one used. You deploy this when you move a post or page to a new address or relocate your website entirely. 302, 303 and 307 redirects are for temporary changes. 302 redirects are specifically used for the rare occasions on which files are temporarily moved but will return to the previous location. 303 and 307 redirects rely on much the same principle as each other: preventing the user from refreshing or bookmarking a page that loads after a form submit. These redirects are most commonly used during credit card transactions. You won’t need to use these protocols often as shopping cart plugins and e-commerce tools tend to handle them automatically. So, when should you use a redirect on WordPress? Generally speaking, your domain and pages shouldn’t be shifting around. However, sometimes you move on from an old project (or blog) to a new venture and want to direct users to your latest address. A 301 redirect helps streamline the process. If you manage a larger site – or a website that’s been around for years – chances are you have content that needs to be removed or consolidated. Instead of simply deleting the page – thus potentially creating broken links or bookmarks – use a redirect to your home page or location of updated content to keep things nice a clean. Another reason to use redirects is for SEO purposes. A popular post will show up on search engine results and be referenced by other websites. If you want to remove or update it, the resulting broken links can hurt your page ranking. Using a redirect for the old URL will help users find the right content and keep Google happy to boot. Let’s move on to our plugins! Redirection Plugin for WordPress is one of the most widely-used. Redirection is one of the most popular redirect tools for WordPress. Its primary features are easy-to-manage 301 redirections and 404 error tracking. It also offers more advanced tools to help you keep track of loose ends on your site like broken links and orphan pages. A notable special feature on offer here is 404 error monitoring – in this case a handy log you can use to identify candidates for 301 redirects. Redirection can be used for all types of addresses, not just broken links or missing pages. It can also auto-generate redirects when you update a post URL, manually add 302 or 307 redirects, and control redirects for index.php, index.html, and index.htm (without the potential terror of having to touch a .htaccess file). Plugin installation is straightforward and most of the redirect work is automatic. The plugin functions in much the same way that WordPress handles permalinks, so there are no speed or performances issues to worry about. Redirection is free and available through WordPress.org. Quick Page/Post Redirect Plugin breaks up redirection into two options. Another popular plugin with a high rating and over 200,000 active installs, the Quick Page/Post Redirect Plugin offers a variety of redirect options split into two easy to use categories: Quick Redirects and Individual Redirects. For standard 301 redirects, this plugin offers what it calls Quick Redirects. These are simple to add and don’t require an existing page or post – enter the request URL and the destination URL and it does the rest. This approach can fix incorrectly created permalinks, updated URLs, and problems with content that’s been moved. The Individual Redirects option is for content that already exists on your site. It adds a meta box on the edit post screen which enables you to specify the redirect location and type. It also enables redirection of menu items and duplicate posts. Installation is straightforward and the plugin has comprehensive configuration options. The Quick Page/Post Redirect Plugin is free and available through WordPress.org. Safe Redirect Manager offers options for added security. Safe Redirect Manager takes a straightforward approach to redirecting existing web pages or folders and comes with an additional whitelist feature for added security. This latter feature enables you to only redirect to an automatically updated list of whitelisted hosts. This is a handy function to have if you’re concerned about the security of automated functions like redirects. You’re also able to specify which kind of redirect you want (301, 302, etc.) from the settings screen. Safe Redirect Manager is free and available on WordPress.org. Simple 301 Redirects is a great tool for those of you who need to create redirects, but don’t want to struggle with a complicated tool or advanced settings. This plugin primarily deals with 301 redirect creation for when you’ve permanently moved content from one location to another. This is especially useful when you’re changing domains or hosts and wish to preserve the page ranking of your website. The old links will remain intact, but user traffic will be directed to your new content. Simple 301 Redirects is straightforward to install and all configuration is handled under Settings > 301 Redirects. Due to its stripped-down nature, you shouldn’t have any worries about speed or impact on site resources with this plugin. Simple 301 Redirects is free and available on WordPress.org. Yoast’s SEO plugin offers many features, including redirect tools. 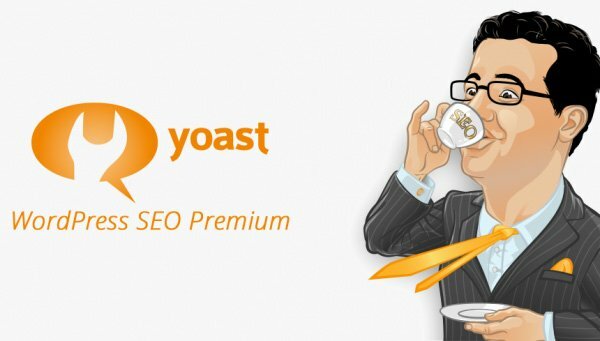 Formerly known as the Permalink Redirect WordPress Plugin, Yoast have now integrated their redirect plugin into their paid SEO plugin Yoast SEO Premium. This comes packed with a host of features, but we’ll be focusing on the redirect manager here. This tool conveniently handles redirect functions through your WordPress admin without the need for any extra coding or messing about with .htaccess files. It offers basic redirection from old URLs to new ones to preserve and possibly improve your site’s SEO ranking. A standout feature of this plugin is its integration with Google Webmaster Tools – a huge timesaver for busy site owners. This is a premium plugin with various pricing options starting at $89 for a single site. In addition to redirect functions, you get advanced SEO tools, video tutorials, and live support. This plugin is probably best suited for larger sites, or businesses that need the extra support and features. SEO Redirection offers support for a variety of redirects. SEO Redirection Plugin offers support for generating 301, 302, and 307 redirects and also supports 404 error monitoring with easy one-click redirection. All major redirect protocols are supported – including wild card (entire directory) redirection – via simple and intuitive menu options. It also provides detailed redirect history for ease of management. SEO Redirection Plugin is free and available on WordPress.org. This plugin offers basic, easy-to-use features for adding redirects. As its name suggests, Redirect is a simple redirect tool which creates a drop-down menu for redirecting pages and posts. It takes a straightforward approach to generating redirects and represents a solid option for users simply looking for basic redirect functionality. Redirect helps preserve SEO ranking by updating permalinks and menu items to point directly to the new location of your content. This prevents search engine crawlers from stumbling on older links or redirect pages. This plugin is free and available on WordPress.org. Every WordPress site will eventually have to handle redirection on some of its content. Whether you’re trying to preserve your SEO ranking, or simply want to help your readers avoid headaches, having functioning redirects is part of running a well-maintained site. When choosing your redirect plugin, make sure you find one that meets all your needs. If you require advanced tools and support (for larger websites and businesses) consider a premium option. If you know you need specific redirect protocols like 302 or 307, make sure the plugin supports them. If you only need the most basic functions such as 301 redirects, you can safely choose a light plugin that won’t slow down your website. What are your thoughts on handling page redirection? Do you have a method we didn’t discuss? What’s your favorite redirect plugin? Hit us up in the comments with any tips, questions or concerns. I use Permalink Finder plugin and it work very fine! This may sound really basic, but on which site do you install this plugin, the old one you are directing from, or the new one you are directing to? Sorry, I’m pretty new to this. Whatever site your content is actually on is the site that you will want to install the plugin. If you’ve got content on one site that you’d like to get onto another site, then you might want to use WordPress’s import/export tools. These redirect plugins are more for if you change the permalink for a post or page and want to make sure that if people are clicking on an old version of that link they are still getting to the right post or page. How do you time a redirect? Let’s say you want it to redirect after 10 seconds. Though, every plugin of here is important, I like Yoast SEO most. Try the Simple 301 Redirects and Post Redirect Plugin. I think those plugins are great. I also use them and they work pretty well. Tom, Thanks for this post. I have a domain name that expired and I want to redirect anything with the old domain name to my new site. I’m thinking that 2. Quick Page/Post Redirect Plugin is the one to use. Correct? or do I need 6. SEO Redirection Plugin because of the wildcard feature? PS. I’m a lifetime member of Elegant Themes and love it. If you are using one of the above plugins and they close up or move on what would happen if I were to then start using another? Will all those previous redirects be transferred over to the new one or stay on site properly. I think SEO Redirection Plugin is simple & faster.